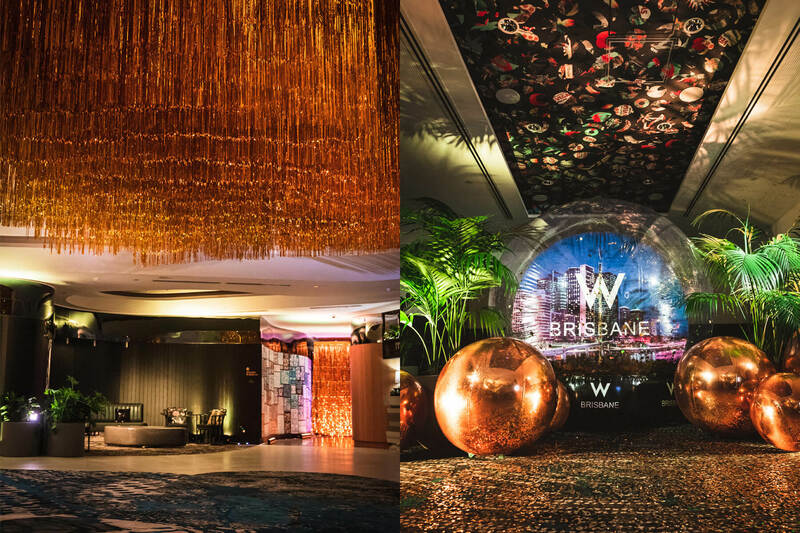 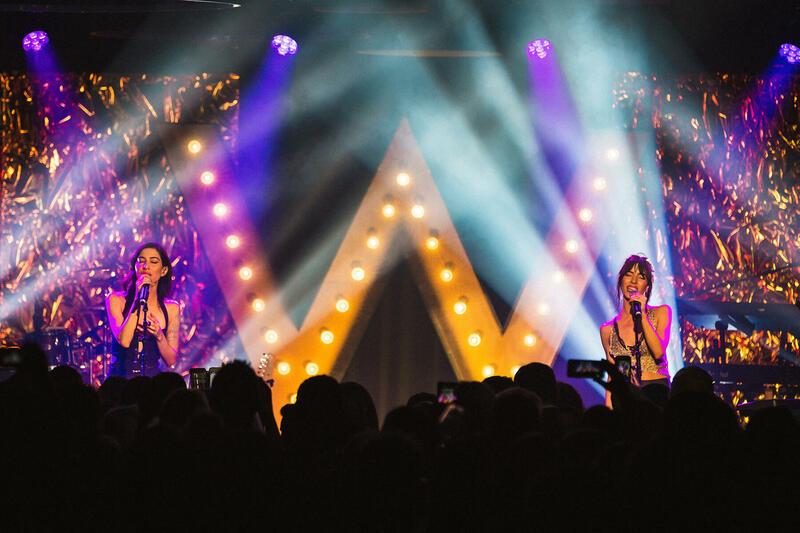 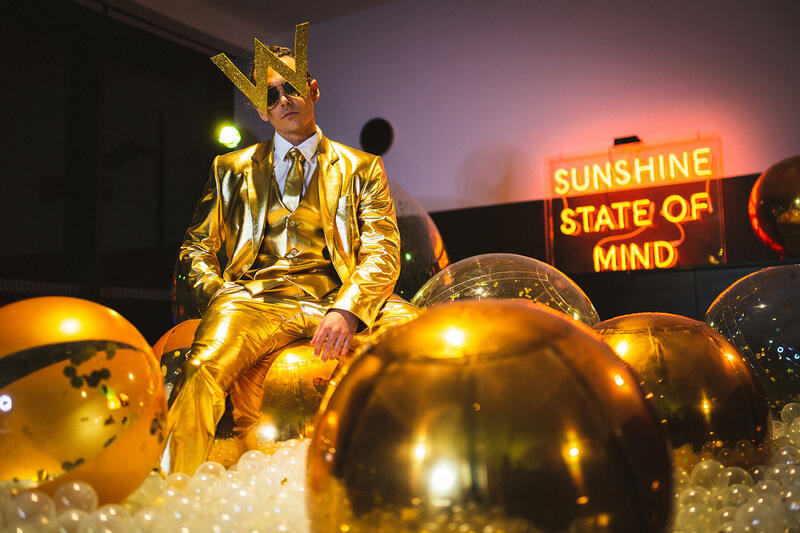 With a theme of “Everything that glitters is golden” and 800 local and international guests, we made sure that W Brisbane was ready to shine and shine it did. 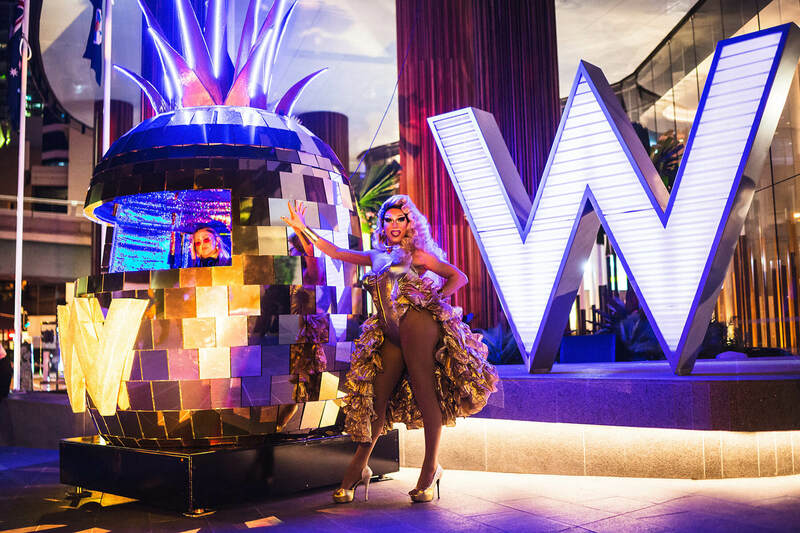 The night started as guests walked the black carpet, scattered with giant hologram confetti, and the irrepressible Decoda Secret – Sydney’s most glamorous drag diva – shimmying with guests in a gold dress with more glam than a Ferrero Rocher wrapper to Music was provided by a DJ in our mirrored pineapple booth, as guests approached the gold sequined media wall and a live installation of a gorgeous model in a gold silk and sequin dress with a 5 metre long train a top a mezzanine, surrounded by mirrored fruits. 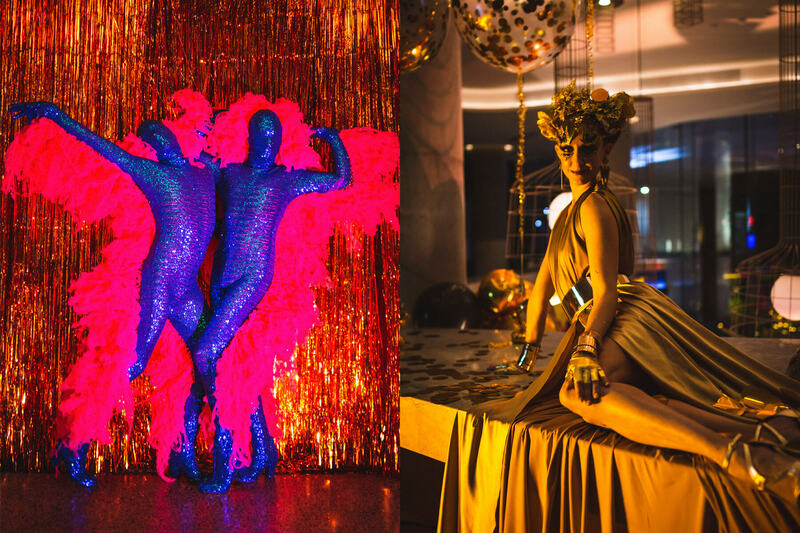 We really took the night’s theme to the next level!